The CBBC Junior Bake Off! We have been contacted by a Television Production Company called Love Productions, who make programmes such as The Great British Bake Off and The Great British Sewing Bee. 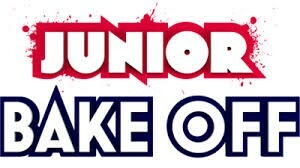 They have started to look for new Junior Bakers to take part in the third series of Junior Bake Off for CBBC. They are looking for bakers aged between 9 – 12 years old (as of 10th August 2015) to apply and potentially feature in the show, with a chance of being crowned Junior Bake Off Champion 2015! The deadline for applications is 10th May 2015.